My first grandson, two years old at the time, toddled at an indoor playground, climbing on giant cement lions and through red and blue walls pierced with cutouts meant to teach shapes. He loved every minute of play until he stood in front of a wavy mirror, one of those that you find at a funhouse. He looked at what he knew was supposed to be him. The twisted, misshapen little reflection that looked back made him shiver and turn away. Life is much the same. We don’t need funhouse mirrors to show us how much the rest of the world may see us as distorted. This is some of the story of the final two years I lived in Hawaii. From when I was 11 and in sixth grade until the end of seventh grade, Hawaii was my home. The day my parents deceived me. I’d watched my dad dig out the driveway during a raging blizzard in New Jersey. Someone had called him to make a house call, and dedicated physician that he was, he would not say no. I stood at my window, crying as the snow and wind pummeled him. He couldn’t go to serve their needs until he could get the car out of the garage and down the driveway. My breath on the window, I pleaded for him to come inside where it was safe. He couldn’t hear me of course, and he would have ignored me if he had. Months later my parents announced we were going to move to Hawaii, to live there for only one year. 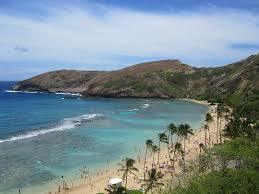 Warm and tropical Hawaii was a melting pot where people of all races and religions lived in peace and harmony. My sister and brother were too young to understand the potential upheaval of their lives, but at 11, I had stakes in where I lived. Only a year? I could do that. A year was an adventure, and I told my friends and cousins we’d be back soon. I trusted my parents. I went without complaint. But we didn’t go back to live. Ever. I only saw my friends and family a few times after that, each visit “home” awkward with newness and unsuited habits. I’d been deceived. We lived in Hawaii that second time for nearly two years, and when we returned to the mainland, it was to California, not New Jersey. No matter what is written or believed, you simply can never go back because what you left behind doesn’t exist anymore. The friendships melted like popsicles, the relationships with family thinned to gruel, and we, the transplanted members, were strangers all. I missed everything. I missed everything. The first day of sixth grade in Honolulu. I’d left school in the middle of autumn so school was already in session in both states. There ends the similarity between those two schools. I started in a public school in the hills outside of Honolulu. We were renting a home in the heart of a tropical garden but my paradise ended at the school gates. The class was comprised entirely of Asian kids who sat in a divided room, girls on one side and boys on the other. Two sets of rows arranged the kids in partners of two, each desk butted up against the next. As in Trenton, I was one of the tiniest kids in this class but was still assigned the very back row next to a tall, big-boned girl. That was, I sat there for the first day. My second day of class, my desk had been pushed up against the teacher’s. It isolated me from the all the other kids. I wondered what deed had banned me to such far corner. Later I heard that the Chinese girl who’d been my one-day partner would not sit next to a Haole (white) girl, and her parents enforced the demand. I dressed and looked different. I wore saddle shoes and bobby socks, crinolines under my skirts, and my blond curls obeyed no orders but their own. My fair skin burned quickly. My thick NJ accent made it difficult for the kids to determine meaning from what I said. The other girls wore slim, sleeveless shifts, their straight black hair sleekly tied in pony tails or held neatly by headbands. Nearly all the kids walked barefoot but that wasn’t even a discussion in my house. With no textbooks in the entire school, (there wasn’t at that time a single Hawaiian public high school accredited for college admission, making private schools mandatory for anyone hoping to attend college) the teacher taught by oral lecture, delivered in pidgin English. You’ve probably heard snippets of this dialect on TV shows. Da kine, lolo, and auwee are common and easy to translate. True pidgin is as hard to understand as Beowulf in its original dialect. Listening to an entire conversation confounded me as I tried to figure out what the teacher said on my first day in her class, the last day of that particular unit. They’d been studying Pennsylvanian coal mines in social studies, a subject I hadn’t studied in New Jersey. (Don’t ask me why a class of Chinese-Hawaiian kids were studying Pennsylvanian coal mines. It made no sense to me then or now.) I couldn’t understand anything she said and went home that night with nothing to study because there was no textbook, remember? On my second day of school, the teacher passed out a 2-page test on Pennsylvanian coal mines. As I stared at dozens of questions on a topic about which I knew absolutely nothing, a pre-recorded voice came over the loud speaker, jabbering about bat-filled caves in New Mexico. Near panic about the test and now distracted by the noise over the PA system, I finally realized that if I could block out the New Mexico cave audio, I could concentrate on the test about which I knew nothing. What a great idea the Hawaiians had come up with! So I blocked the cave lecture, focused on coal mines, and turned in a test of wild guesses and made up responses. On my third day of school I sat at my desk, far enough that I would not contaminate the other kids (I guess) and watched in horror and shame as the teacher held up my coal mine test with the first “F” I’d ever received. Then she held up another “F” grade I’d earned – on the bat caves of New Mexico. All through the school we could hear the screams of children being beaten by their teachers. Corporal punishment was permitted throughout the Hawaiian public school system, and this school exercised its rights regularly. Our teacher threatened often but I never witnessed her beating a kid. My little brother, only 6, was so terrified (his teacher did beat kids in his class, though never him) that he developed a stutter and no one could understand him. His smile disappeared behind a face pale with nerves. Recess time required that you play. Simply wandering on the playground by yourself was not permitted, and refusal to join a game promised a kid a reason for a beating. Every recess proved a nightmare for me. No one would let me play in the games so I walked at the perimeter of activities, hoping that it looked to the supervisors as if I was engaged in playing on a team. It required careful placement of feet so I appeared to play without incursion onto the play courts where I was not welcome. My life at Punahou School. Punahou means “new spring,” as in a surfacing of underground water, and the famous Hawaiian school is named for a beautiful natural spring in the center of the campus. My dad arranged through a colleague to have me tested for admission to Punahou in the middle of the year, something that almost never happened. But I got accepted and got out of the public school where I was hated to become a student at Punahou, a school founded in the 1800’s by Christian ministers. (We moved houses at about the same time, and my little brother also got transferred to another school where he eventually calmed and dropped his stutter as he learned to smile again.) Would love to say that they loved me at Punahou but they didn’t. I was the odd girl still, and I admit that I didn’t know how to make friends. Still, the choirmaster loved me. Well, he loved me the first day I attended his class. He walked around the pews, listening to about 60 little voices, seeking two that could sing, a boy and a girl. I’d studied music in NJ, piano and singing, including a few summers with an instructor who taught us, a bunch of very young kids, not only how to sing in multi-part harmony, but to sing opera. We didn’t know we were too young to learn opera; hell, we didn’t even know we were singing opera. We just followed his directions and sang a bunch of songs in languages other than English. That young, my voice was pretty and dependable and very soprano. So when the Punahou choirmaster heard me sing, he thought he’d hit the musical jackpot. I was child who’d had training and could carry a tune. He selected me and one lucky little boy to sing the solo for the upcoming musical performance in front of the entire school. He sent me home with orders to practice. Thing is, I am Jewish and the song was a Christian hymn about loving Jesus with all my soul. No way could I practice that song in my home. I was too terrified to even tell my mom what I’d been chosen to sing. So I did practice. I did everything my NJ opera teacher had taught us. I opened my mouth and shaped each sound, lifted from my diaphragm, controlled my breathing, pronounced each and every syllable succinctly, rounded the vowels, and projected to the back of the auditorium. Punahou’s auditorium was huge, with an enormous downstairs area crammed with wooden seats and a spacious balcony. I practiced soundlessly, lest my Jewish mother hear me singing about Jesus and send me straight to hell with a few of her famous punches and enough Yiddish curses to make Oahu blush. On the day of the performance, I stood in the front of the entire choir next to the lucky little boy who had also been selected. We faced a packed auditorium and though I knew from theater and ballet recitals not to look directly at the audience but at an imaginary spot on the far wall, I still saw about a million pair of eyes staring at me. Me, the new little kid whom no one liked. The choirmaster stood in the orchestra pit and lifted his arms to direct us. I did fine with the ensemble pieces – every individual voice got lost in the jumble of many kids singing. But when it came time for me and unlucky little boy to sing our solos – well, I did as I had practiced. I opened my mouth and lifted my voice from my diaphragm; I rounded the vowels and articulated the consonants. And I sang silently. Not one sound emitted from my throat. Couldn’t do it. Didn’t know how. Choirmaster’s eyes opened so wide I worried that they’d fall from his sockets. He gestured with windmill spins, opened his own mouth in a gape and pulled his shoulders high enough to touch his ears. The veins in his neck pulsed and his skin sunburned in front of me. I did the best I could, but a Jewish kid cannot sing to Jesus, and so my voice simply did not function. Choirmaster never called on me again to sing though he demanded to know why I hadn’t performed. I stared at him, my voice struck dumb. It was not like me to ever refuse to obey a teacher but there was nothing I could explain. The next day the Punahou kids finally welcomed me to their school. They planted a cockroach the size of a dinner plate inside my homeroom desk. Did I tell you how terrified I’ve always been of bugs? I’d witnessed and suffered the shame of prejudice and humiliation of being different in the tropical islands that my parents insisted were a melting pot of races, cultures, and faiths, with Hawaiians joyously celebrating differences and commonalities. Hula and luau and stories of Madame Pele bound us in the myths that draw tourists to the islands in droves of happiness-seekers. I still have never returned though one day I would love to travel there and see it without the strange colors of my childhood to make it seem ugly. May God and all the gods bless the islands and people of Hawaii. All of us endure change throughout our lives, our personal Möbius strip nicked and buckled but not torn apart. At least not yet, if we’re still alive. Here are more of the extraordinary changes through which I’ve lived and born witness. The day my sister nearly drowned. It was not done with malice or forethought, but I’d nearly killed my baby sister. The day was melted-cheese hot and sticky in New Jersey, and we three kids splashed in our tiny in-ground pool. My little brother and I roughhoused so hard the resultant waves smashed our toddler sister’s head against the edge of the pool. She passed out. Unaware of her injury, my brother and I continued to play. Mom finally saw that she wasn’t floating but drowning and pulled her limp, blue-gray body from the water. Thank God dad was home and not at the hospital or on a house call. It was years before the development of CPR and all he had to rely upon to save his youngest daughter’s life was the often ineffective artificial resuscitation technique and determination not to lose his baby girl. He revived her, and he and mom rushed off to the hospital to make sure she was all right. I never learned to swim well but both my siblings glide like dolphins. I weep for those who have lost children to accidents or illnesses. Driving with my mom through the poorest part of Trenton, New Jersey to pay wages to our black maid. We rode through neighborhoods increasingly more rundown until we came upon a group of sooty red brick, three-story apartments built around a circular park the size of a large home garden. Women yakked and gestured as they perched on stone stoops, their dark legs projected from dresses of fuchsia, navy, burnt orange, and golden hued cotton. Men smoked cigars, sauntering on the sidewalks in shined brown wingtips, their thumbs gripping suspenders stretched over their tee shirts. Kids in rolled-up dungarees ran across the park, kicking balls and wiggling hula hoops, yelping, chortling, dodging each other. Laughter and shouts filled the space, waves of noisy friendships. Mom searched for the right house number. We got out of the car as a hundred pair of eyes watched us. Our young maid answered our knock and held out her hand for her pay, her neighbors eyeing us from under tense brows, but silent. Were the buildings privately owned tenements or government housing? I didn’t know but I witnessed a lifestyle impoverished of material comforts but wealthy with community, and saw that I was the stranger. Visiting the arts and crafts show the retarded kids produced. In the basement of our school a classroom hidden from the rest of the student population housed a group of retarded children. Once a year, we “normal” kids from all grades walked through their classroom, looking at the arts and crafts projects the kids had made – looped pot holders, Popsicle stick bird houses, watercolor paintings of the seashore, small stuffed pillows with button decorations, animal collages, punched tin trays, drawings of trees and circuses, lanyards of red, purple, and black vinyl. I don’t know how many kids were in the class. They were never in attendance when we marched through their class; we never saw the kids themselves. We heard the word retarded. I wanted to be in the retarded class with the kids who got to make all the art projects. How lucky could they be? The day I won my first art award at six. I’d drawn a playground safety poster, and after sobbing my eyes out over a glaring mistake in the drawing, turned it into a different image. That cobbled artwork caught the attention of the judges who decided I’d expressed precocious insight. The day I won a writing award based on a university exam, although I was still in grade school. It was supposed to have guaranteed me a place at Rutgers University but we moved to California before I could claim my prize. The day I won a middle school writing competition for a story about freedom. The Daughters of the American Revolution had read more patriotism into my words than I’d intended. The story, Fire High for Life, was loaded with purple prose and unlikely heroic deeds, an utterly forgettable melodrama. The worst part of the event is that I’ve long lost the bronze award pin. The best is that I’ve also lost the story. I discovered I am a writer and an artist, maybe still too garish and amateur, but sincere. Watching Nikita Khrushchev bang his shoe at the United Nations. The TV evening newscast and the front page of the newspaper showed the Soviet premier at the noble curved desk of the international congregation of world peace, his shoe gripped above his head, his mouth open in one of his tirades. Even today people disagree about the incident, about whether it was a shoe he raised or just his fist, about whether or not the Russian tyrant had so besmirched the United Nations or only expressed his valid opinion. All over the United States people built bomb shelter, and children practiced covering and ducking in their classrooms in anticipation of atom bombs being launched into our country. The Red Menace lurked everywhere, or so some insisted. I believed all wars were over, and I did not cower at Red threats. I thought the world was “too old to behave that way.” Ten-year-olds knew better. Could I have been more wrong about anything? The moment our father’s sperm pierces our mother’s egg and forms a zygote, we’re in for the lifetime of changes that will make us who we are. There is nothing so certain, transformative, or unpredictable as change. We might cast spells to resist it or attempt to chant it into essence more quickly, but we can almost never foretell the future until we reflect on the outcome many years later. Until we think about what might have happened had the change not taken place. History books swell with facts and theories about the big events that shaped the centuries and defined world cultures. The deaths of great men and women whose names and deeds everyone knows; the establishment of international organizations to promote peace; wars and revolutions that destroy generations of children for the future of others; the passing of federal acts, laws, and amendments to balance national justice; the pacts that create new nations out of old colonies – each of us knows these stories in personal ways. We know where we stood when Neil Armstrong stepped on the moon and our dreams exploded into space; when Hurricane Andrew landed in New Orleans and drowned so many innocents; when terrorists flew stolen planes into the Twin Towers and flouted American principles of freedom; and when a small town in Japan called Fukushima suffered a tsunami and threatened the safety of the world with leaking radiation.